“The typical experience of a veteran trying to get a job in the civilian world is to have an interview where it’s very formal, the stakes are high and they’re very uncomfortable,” said Jeff (J.D.) Davids, a U.S. Marine Corps veteran and local entrepreneur who has been helping other veterans start companies for more than 25 years. Part of the reason is the difference in language between service members and civilians. Another is the difference in military and civilian culture. But when Davids realized that some mission-oriented veteran entrepreneurs, like himself, achieved commercial successes by using the mindset they developed when preparing for combat, it gave him an idea. This spring, Davids partnered with UC San Diego’s Office of Innovation and Commercialization to launch Startup Battlefield 101. This innovative eight-week, online program run by UC San Diego Extension teaches transitioning military veterans to approach their work as an entrepreneur (or their work in any kind of industry, for that matter) as if they were preparing for a military mission on the battlefield. 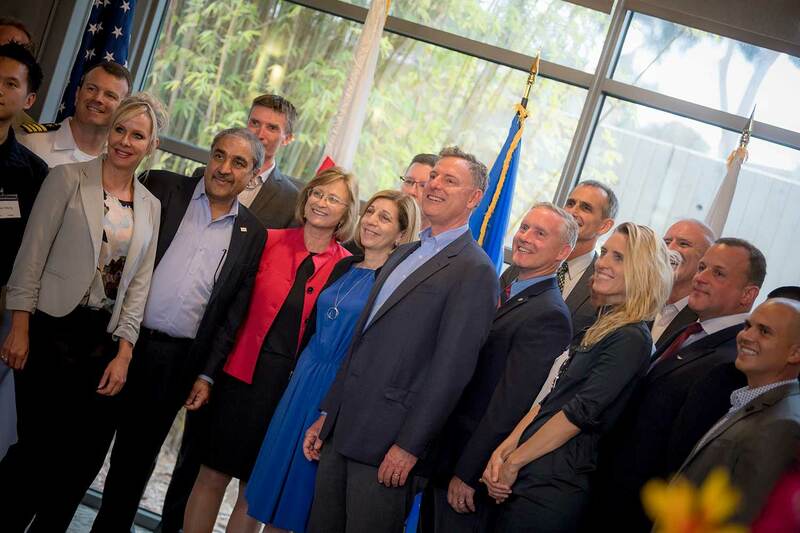 Last week, more than 50 veterans involved in Startup Battlefield 101, and Veteran Ventures, another UC San Diego program launched two years ago by the Rady School of Management to help veteran entrepreneurs, met on campus with Chancellor Pradeep K. Khosla, Rep. Scott Peters and San Diego City Council President Pro Tem Barbara Bry. 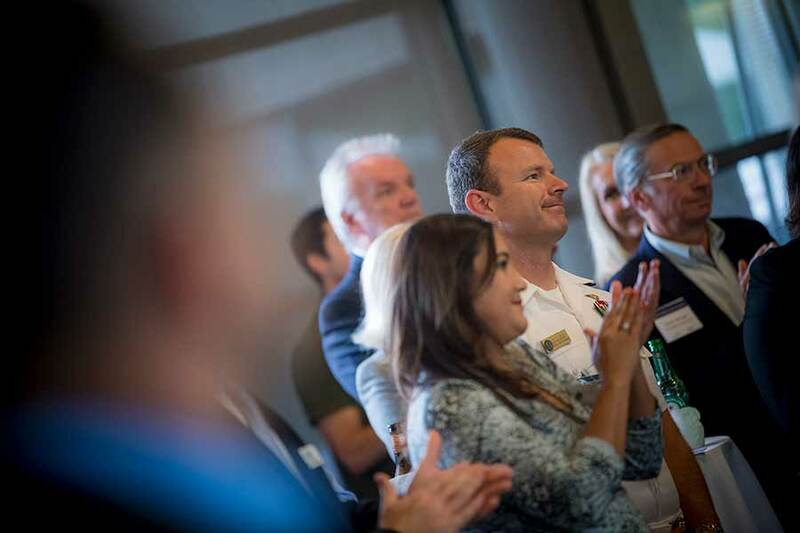 The goal was to celebrate the two programs, showcase the new veteran companies and underline the commitment to veterans by UC San Diego, the first university in the nation to make available its campus-based entrepreneurial programs to all veterans in the community. Some of those veteran-led enterprises also will be showcased at the end of June at San Diego Startup Week, the region’s largest entrepreneurial event of the year, which is expected to draw more than 5,000 founders, investors and innovators. With more than 45 companies coming out of UC San Diego every year, the campus is playing a larger role at this year’s event with specific networking opportunities. 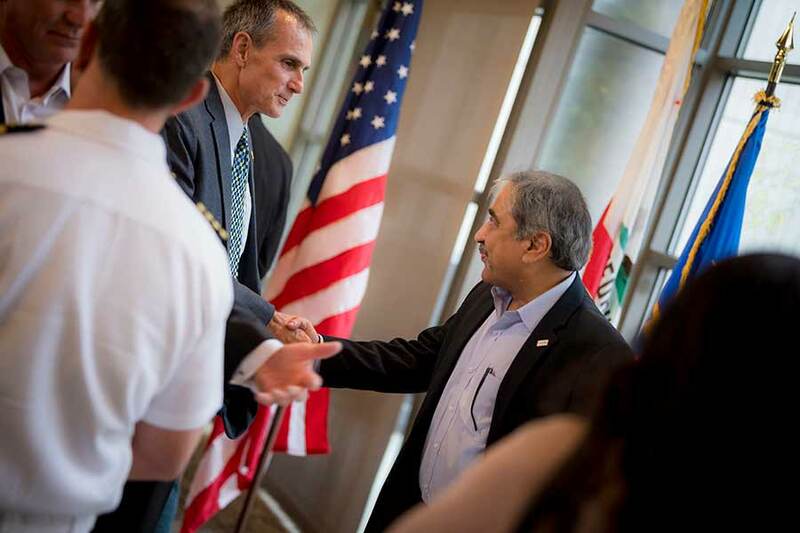 “I think it’s very, very important that we at UC San Diego focus on our veterans and try to create opportunities for them,” Chancellor Khosla emphasized to the group. Among the veterans at last week’s event was Ty Smith, a former Navy Seal who participated in Startup Battlefield 101 at the request of Davids. Two years ago, Smith founded a San Diego-based company called Vigilance Risk Solutions, which makes workplaces and schools less vulnerable targets to active shooters. 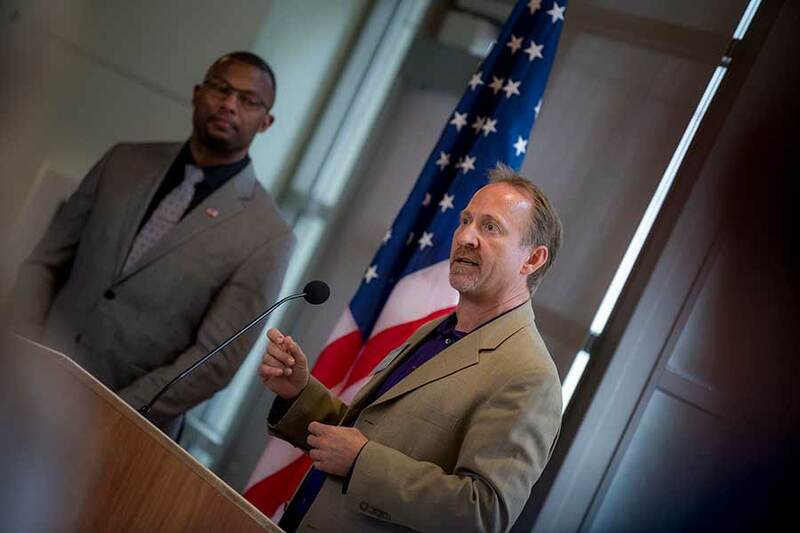 His company, which has grown to 12 employees and has rapidly expanded throughout California and nearby states, provided practical lessons for other veterans enrolled in the program. “If I can show other veterans how to avoid the mistakes I made and provide guidance to them that’s something that’s very important to me,” he said. “We had a nice mixture of active duty military, veterans and startup veterans, and we all shared information,” said Staci Reidinger, a 23-year veteran of the Marine Corps who recently retired from Camp Pendleton and landed a job at the UPS headquarters in San Diego while participating in Startup Battlefield 101. Sean Haggerty, a retired Navy Seal who received his MBA at the Rady School of Management, while starting Protector Brewery, San Diego’s first and only organic brewery, concurs. Haggerty, who serves as a mentor for other veterans in Rady’s Veteran Ventures program, which was started by another Rady graduate and Marine Corps veteran, Michael Hayden, said he’s found in his commercial brewery that veterans make especially dedicated employees. Most of the veterans at UC San Diego—a total of about 300 undergraduate and 150 graduate students—served in the U.S. Navy and Marine Corps. Recognizing the camaraderie that exists between veterans and the fact that veterans have unique problems as undergraduate and graduate students, UC San Diego five years ago established the Student Veterans Resource Center. It not only serves as a resource for the approximately 300 undergraduate students and 150 graduate students, most of whom are U.S. Navy and Marine Corps veterans, but tries to bring them together and integrate them into the campus community.